"I am just loving The Alchemy of Freedom. A. H. Almaas tells it like it is, without neglecting how it seems to be. 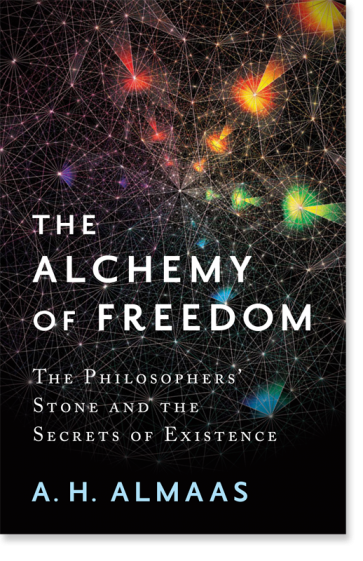 He eloquently describes the indescribable ‘true nature’ of reality as the ‘philosophers’ stone,’ the key to the secret of existence, as enlightened, extraordinary ordinariness. He seems intriguingly to speak as if enlightened, yet, most importantly and blessedly, he does not claim ‘enlightenment’ as his possession. He does not trap himself in what the Chan masters of old called ‘the demon ghost cave’ of considering one’s self to be enlightened, and so, set apart from life and above others. In fact, he manifests himself as open-minded, open-hearted, and ever curious. He clearly enjoys life through the exquisitely equalizing wisdom experience. The inconceivable voidness’s compassionate, clearlight way seems to unfold him as its oracular mirror. I so much appreciate his teaching. I could go on, but better that he goes on with his lapidary guidance, and best that you all continue your own journey of discoveries with this great gift of a book!"